Free printable coloring page and Counting activity. 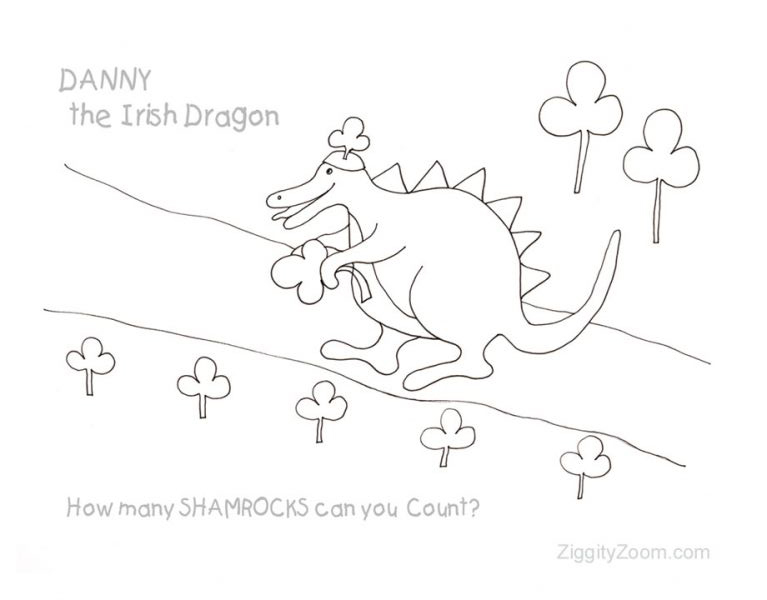 Kids can color Danny the little Irish Dragon and then count how many Shamrocks they see. Great St. Patrick’s Day printable page. Print preview the pdf and select the worksheet page so you do not print unneeded direction or url pages.